For the eighth year shoppers and visitors to Bristol during the school Easter holidays will have the chance to enjoy a colourful discovery trail, this year featuring creatively decorated llamas in the shops around Broadmead and Cabot Circus. Bristol’s annual Easter Trail is organised by the Ark Project, in partnership with The New Room and retailers from Bristol Shopping Quarter, and features a different beast every year. Fifty-two ‘Calmer Llamas’ are currently in various stages of decoration in schools and youth centres around the Bristol area. 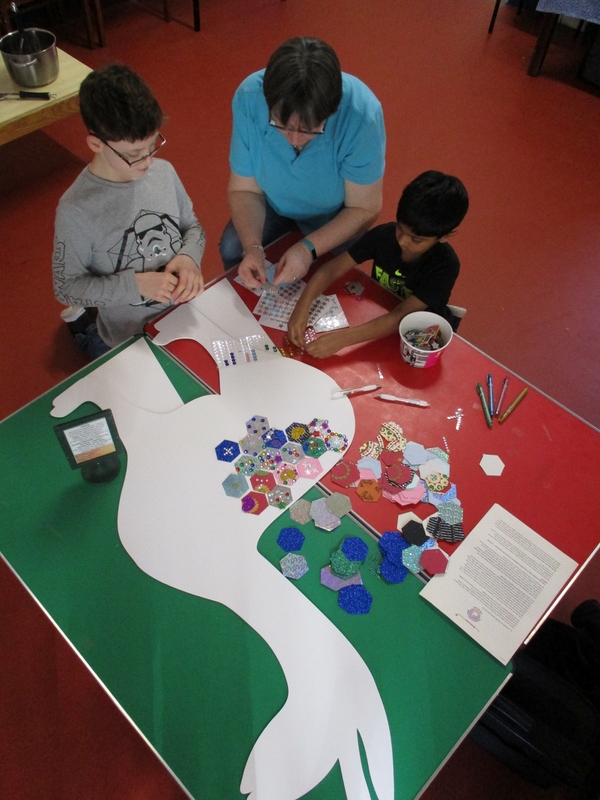 The Ark Project has provided each participating school or group with a nearly 1.2m high cut-out of a llama, plus care instructions and some acrylic paint to start the young artists off. The decorated llamas will be installed in the shops at the end of term, and the llama trail will run from April 8-22, with free trail maps available from the New Room, John Wesley’s Chapel on The Horsefair, where a host of free activities will also take place throughout the Easter holiday and a chocolate reward will be waiting for children who successfully complete the trail. Over 1,000 children took part in last year’s trail which featured flamingos, and retailers reported a steady stream of families searching for the 52 members of the flamboyant flock throughout the two-week school holiday. Trail organiser, Jenny Bourne of The Ark Project, said: “This year’s theme is resilience and determination, and we are asking participants to consider the things in their life which they may have found difficult and how they have overcome them. “We’ve asked the children to remember how it felt when they achieved something that they first thought was impossible or just too hard, and to consider how they could help others when they are facing difficulties, by being a good friend, or showing some kindness, and they’re going to decorate their llamas with all these thoughts and feelings. The free activities being run at the New Room to tie in with the ‘Calmer Llamas’ trail include child friendly crafts on Wednesday April 9 and 16 from 11am-1pm, plus ‘Matt’s Mindfulness Drop-In’ with chaplain Matt Albury on April 10 from 2-4pm and April 17 from 11am-1pm. Located in the heart of Bristol’s Broadmead the New Room, which is the oldest Methodist chapel in the world, also offers a variety of other attractions in its newly-opened multi-million pound Heritage Lottery-funded visitor centre, including a state-of-the-art museum and award-winning family-friendly café. The Ark Project is part of The Bristol and South Gloucestershire Methodist Circuit that runs out of two converted VW vans and supports both local Methodist Churches and community events across Bristol and South Gloucestershire.